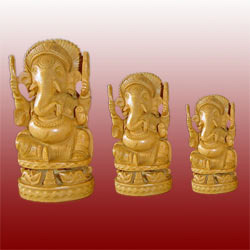 We are the leading manufacturer, supplier and exporter of Wooden Handicrafts. Professionals of our company has designed various unique wooden handicrafts like photo frames, carved wooden sideboards, furniture, wooden besides, decorative wooden furniture, wooden chair and wooden dining sets. Our company has set a standard in the field of manufacturing, trading, wholesaling and supplying apex quality Wooden Ashok Pillar. 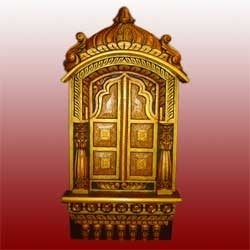 This pillar is available in different sizes so as to fulfill the need of customers. 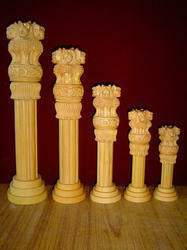 Our pillar is widely demanded in the market due to its perfect finish at each section. Also, this pillar is provided in customized options to choose from. We provide a wide range of Decorative Wooden Boxes, which is fabricated using high grade raw material that had been obtained from trusted vendors. 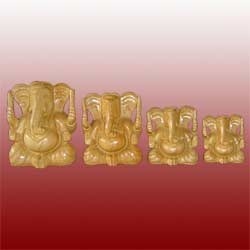 The quality of raw material that is used in carving these items is high grade and durable in nature. These are of high utility for various aesthetic purposes. 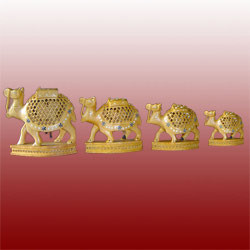 We are considered a renowned name in the industry, occupied in trading and supplying a wide array of Wooden Handicrafts. These offered products are broadly praised in the industry because of their qualities including well-built construction, precise dimensions, and rust resistance. Moreover, our customers can avail these products from us as per their favorite size specifications at low prices. Owing to our expertise in this domain, we are engaged in manufacturing, exporting and supplying an extensive range of Decorative Ganesha Statues. The popularity is Ganesh is diffused and spread to other religions and beyond India. Owing to its smooth finish, trendy design and elegant appeal, our statue is widely acclaimed by the clients. Besides this, our statues are completely checked from in order to ensure its flawlessness. Attributable to our wide space ability, we have the capacity to offer Wooden Camel Statues. Outlined by applying different advanced techniques, these wooden statues are known for their fine finish and light weight. These statues mirror the craftsmanship of our exceedingly gifted architects and are requested by clients for their one of a kind look, selective plans and exquisite examples. 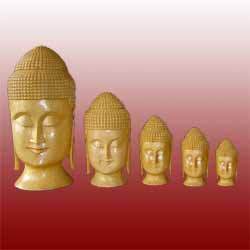 We can likewise offer these statues in shifted sizes and outlines, as requested by clients. With the assistance of our creative professionals, we have been able to offer a creative array of Wooden Handicraft. Artistically designed by our inventive team of professionals from the best quality basic material, these handicrafts are finely polished by utilizing premium grade varnish to ensures its long lasting shine. Attributable to our wide space ability, we have the capacity to offer Decorative Wooden Handicrafts Outlined by applying different advanced techniques, these wooden statues are known for their fine finish and light weight. 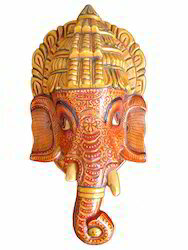 We bring forth for our client’s high quality Ganesha Wooden Statues. Craftsmen have fabricated the watches by providing it elegant design, perfect finish and beautiful pattern. We are immensely engaged in manufacturing, exporting and supplying a wide range of Decorative Boxes. Offered decorative boxes are designed from the premium quality raw material and advance tools keeping in sync with market trends. 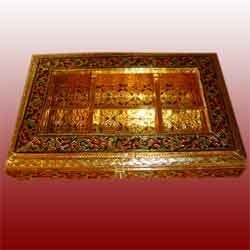 Our decorative boxes are widely used for gifting purpose and are available in market in various sizes. 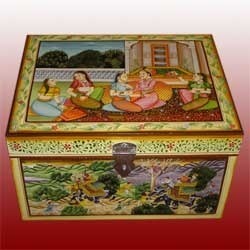 Moreover, our valuable customers can avail these decorative boxes from us at reasonable prices. Looking for Wooden Handicrafts ?